On July 21, 2017 at its International Convention in Indianapolis, Ind., Zeta Beta Tau Fraternity formally recognized Gift of Life Marrow Registry as a Community Service Partner. For several years ZBT has hosted donor registry drives at national events like Dover Days and the International Convention, has had chapters all over the country run drives on their campuses, and has encouraged its brothers to serve as campus ambassadors for Gift of Life. Through its efforts so far, four transplant donors for blood cancer patients have been completed from ZBT brothers. Chapters will be encouraged to hold marrow donor recruitment drives on their college campuses and in surrounding communities with a particular focus on events such as Movember (national men’s health month in November) and Match Madness (to coincide with March Madness basketball tournaments). Young donors are preferred by transplant centers for their patients because they are healthier and naturally produce greater numbers of the needed stem cells. The potential for ZBT to recruit in this donor demographic is huge, and donors do not have to be ZBT brothers to join the registry at a fraternity-sponsored event. To date, thirty chapters have been actively involved, recruiting over 2,300 donors to join the registry and leading to three completed transplants. 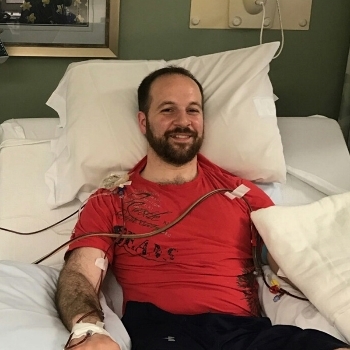 Ryan: In June 2017, ZBT brother Ryan donated Peripheral Blood Stem Cells to a man suffering from a bone marrow disorder. 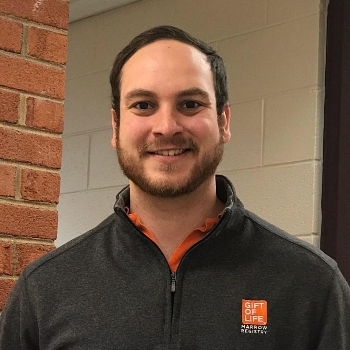 Ryan joined the registry about four years ago while at college, where he majored in American Government and Environmental Studies in college. From the day he swabbed his cheek and became a volunteer donor, he hoped to get that life-changing call giving him the chance to help save someone's life. His mother, who is a family physician, accompanied him to his day of collection. Both she and Ryan were very impressed with the entire process. Jacob: ZBT brother Jacob donated peripheral blood stem cells in April 2017 to a woman suffering from leukemia. He joined the registry nearly 12 years ago while a freshman at Emory University, when his ZBT brother ran a drive and encouraged him to swab. 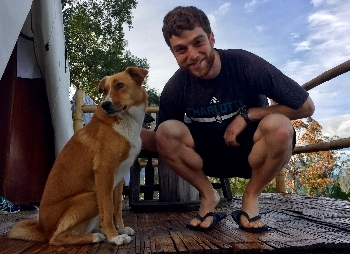 Since graduating he has worked in West Africa and attended graduate school. When Jacob received the call that he was a match for someone in need, he did not hesitate. Even though he was busy preparing for his wedding this fall and working at a D.C. area think tank, he immediately agreed to donate. Only a few hours after arriving at the donation center, his stem cells were on their way to the recipient for transplant. 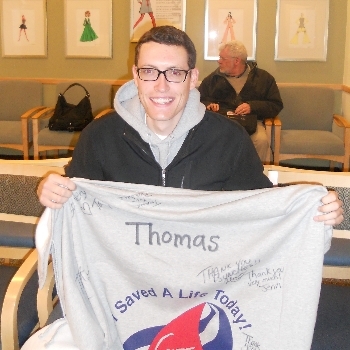 Thomas: Thomas Koerner, a ZBT brother and native of Austin, Texas, donated bone marrow in February 2013 to a 47-year-old woman suffering from acute lymphoblastic leukemia. His father accompanied him to the donation center in Boston, Mass. for the day of donation. A Gift of Life coordinator was there the entire time to ensure Thomas had everything he needed. Zeta Beta Tau Fraternity was founded in 1898 in New York City as the world's first Jewish Fraternity. ZBT is a Brotherhood of Kappa Nu, Phi Alpha, Phi Epsilon Pi, Phi Sigma Delta and Zeta Beta Tau. ZBT is represented on 90 campuses in the United States and Canada and has more than 140,000 undergraduate and alumni brothers throughout the world.